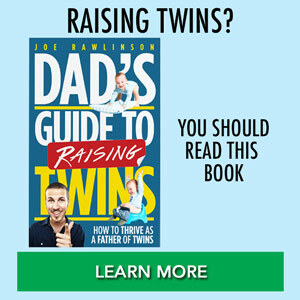 Twins were the shock of a lifetime. We were so happy and scared at the same time. We waited to have kids until we in our mid-thirties. I was 34 when I found out I was pregnant and would be 35 by the time I was due to deliver. This automatically put me into high risk at day one. I went to my first appointment at 7 weeks and I was scheduled for a sonogram at 10 weeks to make sure everyone was in good health. I asked my husband to go with me as I was scared and excited and he was too. We got to my OB’s office and were taken back to meet the technician. She got me prepped and began to explain what we were going to see. She advised us to look for a black area and small white/gray spot. We saw three black areas! The tech quickly made adjustments and did another scan and confirmed there were two fetuses and a cyst. I started crying and laughing and my husband was speechless for quite a while. My OB came and said we were going to be seeing a lot of each other and referred us to maternal-fetal medicine specialist (MFM). She told us to wait on spreading the news to our families until I was 12 weeks. I cried at every red light on the way to work and laughed hysterically when my good friend and co-work asked how everything went. The next two weeks of keeping this life-changing news from our family was hard. Ultimately my husband slipped during a conversation with his brother. My husband was asked how the pregnancy was going and he said the “babies are fine”. So my brother in law was the first family member to get the news. My mom was the next to know. I hunted down a frame to hold the sonogram of the twins to give my mom the news that her first grandchild was now grandchildren the frame read “twice the love” in silver. I gave it to her on Easter weekend and she was so happy to have a picture of the sonogram she didn’t even read what the frame said. Me: Mom did you look at the frame I picked out? Grandma: yes, it is beautiful. Me: Mom, did you read what it says? Grandma: OMG! 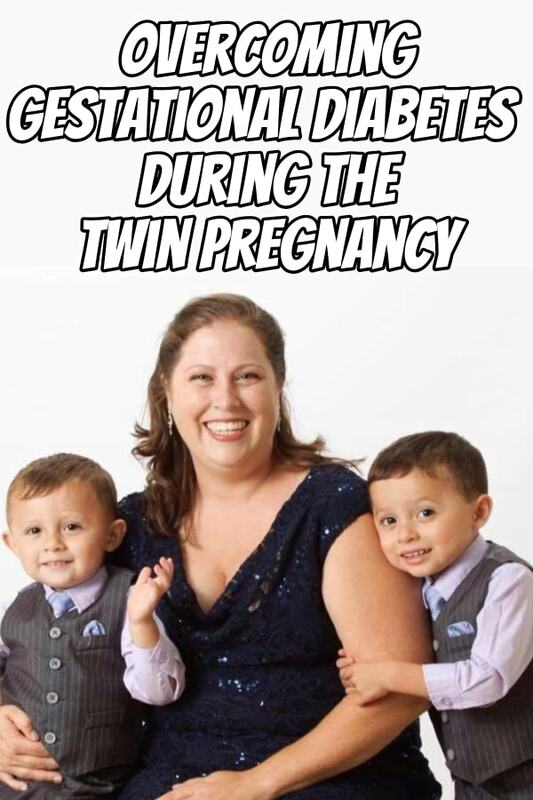 Your having TWINS??? Mom, (great grandma to be) Jennifer is having TWINS! My pregnancy was not an easy one and I was hospitalized at 26 weeks for 4 days and the rest of my pregnancy I was on bed rest. 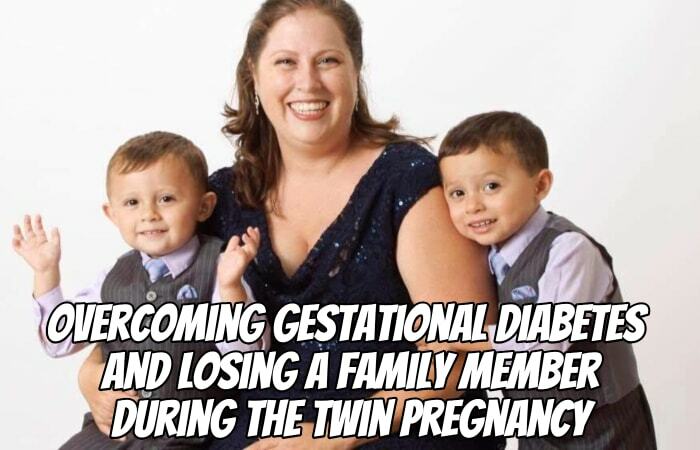 I had gestational diabetes and the stress of work had me having contractions. I had the trifecta of symptoms, my MFM doctor told me that my cervix went from 5.0 to 2.5 between visits, and wanted me to have a stress test to make sure the babies were okay. We walked across the street to the antepartum location to get monitored. I was having contractions. So I was diagnosed with gestational diabetes, my cervix had thinned out considerably, and I was having contractions all within an hours time. My doctors admitted me to the hospital on the spot. All I had with me was my purse and cell phone. My husband was working in the field and could not get to me until that evening. I think I cried for two hours, I had to call my work and tell them I was in the hospital and I was not going to be back any time soon. After 4 days I went home and was put on bed rest until I delivered at 37 weeks. While I was in the hospital I was put on a high fiber/protein diet plan and I was given medication to keep my blood sugar levels good. I had a really hard time eating during my pregnancy, but I had a dietitian that helped me with my meal planning. I stayed on track with their help. My only craving was cucumber salad in a vinegar dressing. At 36 weeks my mom and I came home to find my beloved grandma (Mimi) had passed away while we were at an appointment for my pregnancy. This devastated our family. She was so excited to meet her great-grandsons. I had a heart to heart with my sons, asking them to please wait until after the funeral to be born (which was scheduled for that Friday morning). On Friday evening I had my first really big contraction while at a family dinner. Saturday morning I spent the day walking at the beach and at 1:30 am Sunday we went to the hospital to have our sons Logan Grayson and Gavin Quinn. Bring the twins home was another adventure as we had tons of family in town for a funeral and now the birth of twins. It was a time of sorrow and grief and then it was rejoicing in new life. Life is still an adventure, the twins started Kindergarten this year. My boys were separated for the first time. The schools typically separate twins which I agree with. This gives them individual attention as well as time apart. Logan (my Baby A) was upset at first that his brother wasn’t going to be there with him on this new adventure. I told him that his brother was just down the hall and they would see each other a lot at school (just not all day). He was okay after the first day. I was nervous at first but kindergarten has been a huge success so far.